This month’s crop of psychological thrillers brings us characters haunted by their respective pasts. 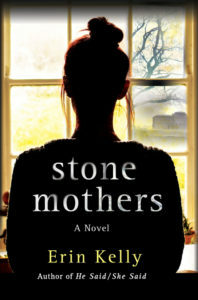 Several of the characters have been forced to return home and wrestle their demons and secrets: Marianne Thackaray in Stone Mothers; Ailsa Calder in The Missing Years; and the survivors in Someone Knows. The past is also omnipresent in I Know Who You Are and The Better Sister. If there’s a moral to this crop of books it’s to guard your secrets very closely, or avoid having any at all. Aimee Sinclair is a not quite A-list actress—her face is more familiar than her name. Yet there is one person from Aimee’s strange and upsetting past who keeps interfering in her present-day business. First, her husband goes missing after a particularly nasty fight. Then her bank tells her nearly all of her money has been withdrawn–and it wasn’t her husband who closed the account, it was Aimee. 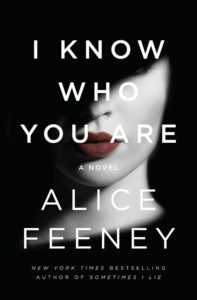 I Know Who You Are is a tense, almost nasty thriller, in which the past recurs in the most dramatic way. Marianne Thackeray grew up in Nussted, a town noted for its looming asylum, the Nazareth Mental Hospital. She had planned on never living there again. But time changes things: the asylum has been converted to shiny renovated flats, and Marianne’s husband bought them one. She can’t explain to him that the asylum has negative associations for her which harken back to an incident involving herself, an ex, and a dangerous enemy. The truth will come out, somehow, and Marianne has to prepare for it. 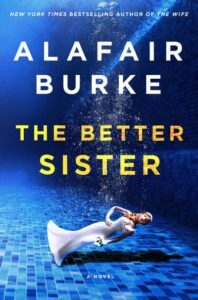 Burke has set the bar high for herself after her last two standalone thrillers, The Ex and The Wife, both of which confounded societal expectations about how women are supposed to act in love and in battle. The better sister continues this theme: Nicky Taylor married attorney Adam Macintosh; they had a son, Ethan. Chloe Taylor, who always dreamed about conquering New York City and has with a coveted publishing job. Yet 15 years later, when the action of the book takes place, Adam is married to Chloe and they have custody of Ethan. The reckoning comes when Adam dies and Ethan is a suspect: both of his mothers have to set their differences aside in order to clear him. Elliott must peruse far-flung real estate listings for inspiration. Her sold debut, The French Girl, was about a group of old college friends who rented a house in France one summer when their neighbor was killed. 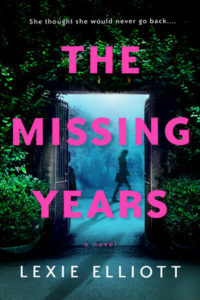 In the Missing Years, Ailsa Calder, a burnt out journalist who’s usually on the road covering a disaster area, inherits The Manse, the Scottish mansion where she was born, she knows it’s time to return to her roots and try to unravel the secrets of the house which has remained stubbornly sinister. She gets threatening notes. Someone leaves a dead animal on her porch. And she’s sure she’s being watched. 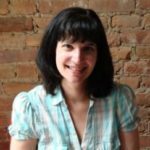 There are an embarrassment of talented Lisa’s writing crime fiction right now—Lisa Gardner, Lisa Lutz, Lisa Unger, and the Lisa we’ll be discussing now, Lisa Scottoline. 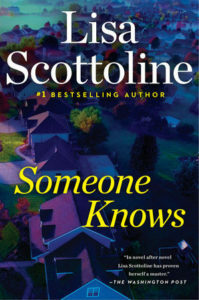 Scottoline’s new book, Someone Knows, is a domestic noir set in an affluent community called Brandywine Hunt, where five teenagers get into some serious trouble one night. While playing Russian Roulette with a supposedly empty gun, one of the players discovers the gun is not quite empty and shoots themselves. The kids keep mum and the death is ruled a suicide. 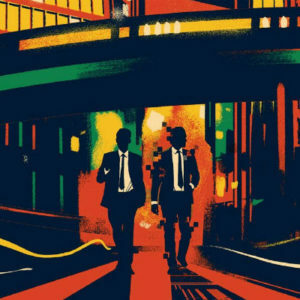 The secret binds together kids who were there last night until 20 years later, when the group reunites for the funeral of another one of its members and earth-shattering secrets are revealed.